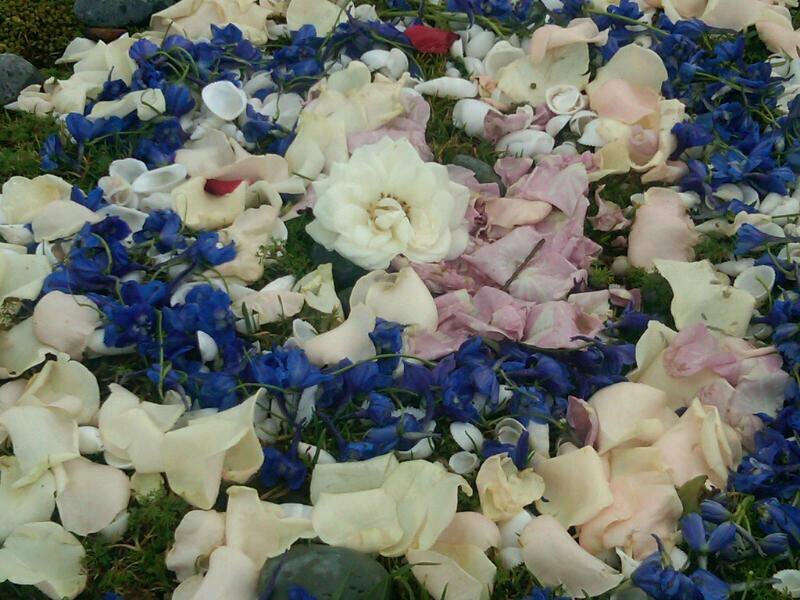 ‘She’ is available for Sacred Union, Birth and Transition Ceremonies. Personal or Group Vision Quests, Retreats and Rites of Passage. All created and birthed custom for the individual(s) involved. Contact ‘She’ (S@SuzanneToro.com) for a consultation to discuss the possibilities and her availability. ‘She’ travels locally and globally upon request. 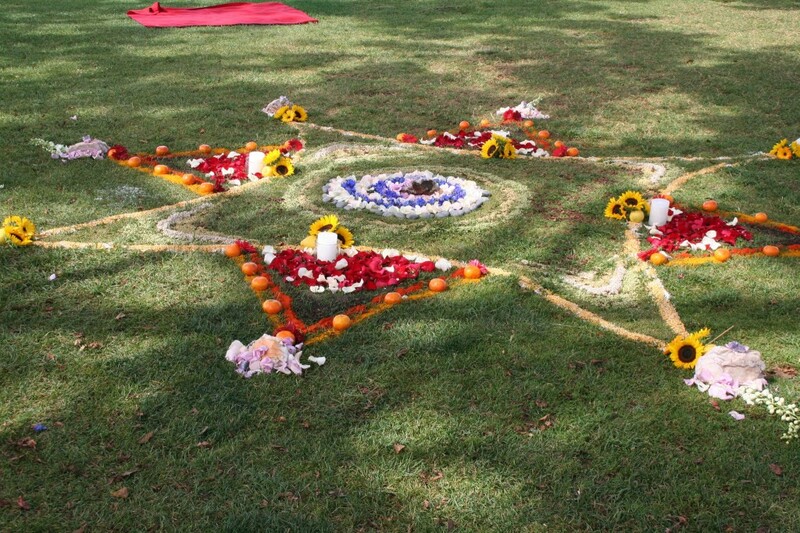 ‘She’ births and dedicates sacred mandalas for ceremonies, private/public gatherings, and/or as a live performance. Each one is created by the seed inspiration of the individual, gathering, and/or place. Always created in silence, prayer and sacred intention. Created and Guided for her brother’s Transition Ceremony. Brian’s service was an amazing example in how a transition can be celebrated with community in a way that is harmonious with friends and family. Suzanne chose to do the ceremony of life in nature overlooking the ocean. I’m sure Brian was smiling that day over all of us. 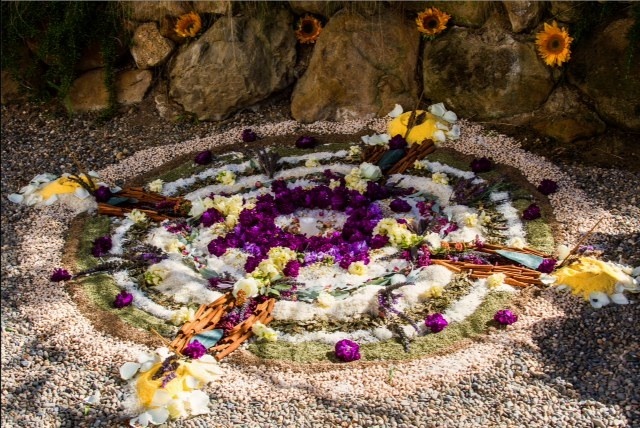 The mandala created by Suzanne in the center was adorned by flowers, seeds and natural supplies that represented impermanence and reminded everyone that this too shall pass. What I loved the most was doing a celebration of life instead of mourning the death for someone everyone cherished was a lovely and memorable way to hold someone at their highest. Everyone shared stories of Brian afterwords with gratitude for knowing him. It was lovely! Created for Drum for LOVE! Suzanne Toro came into our lives and offered her participation at Drum For Love “Balance” by offering a beautiful and powerful Mandala. Her presence in holding our vision strong throughout the planning of the event along with her generous and compassionate heart were very uplifting and refreshing; always encouraging us to be in Balance ourselves through the ups and downs of creating the ceremonious event. My husband and I are very grateful for Suzanne’s support and participation at the event. 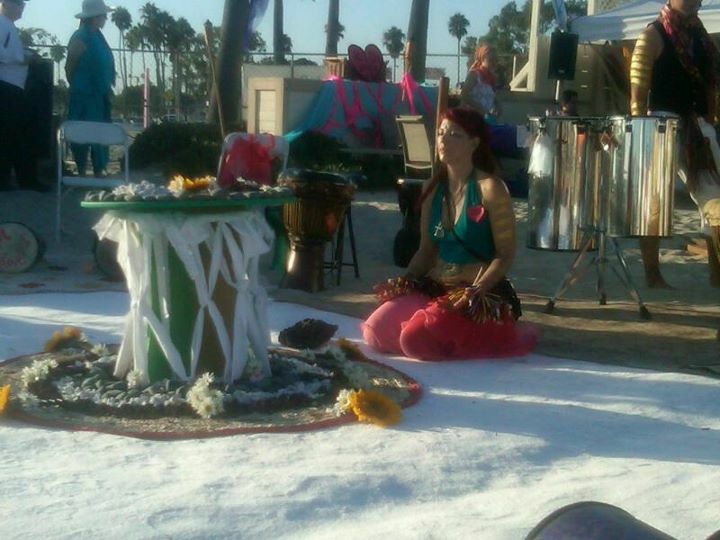 Her offering of sound healing to the participants (about 250 people) generated peace throughout our ceremony and radiated out to the Long Beach community. Building of the Mandala took place during a half day ceremony with prayers laid for the Christina & Francesco! Created & Guided Sacred Union Ceremony for Christina and Francesco. Thanks to Suzanne’s loving and inspired guidance, our Sacred Union Ceremony was transformational, not only for ourselves but for many of our guests as well. She held a vision of our relationship at its highest for months beforehand, lending support energetically and in words whenever needed. In the weeks prior, she shared salient observations that helped us to organically shape the ceremony. 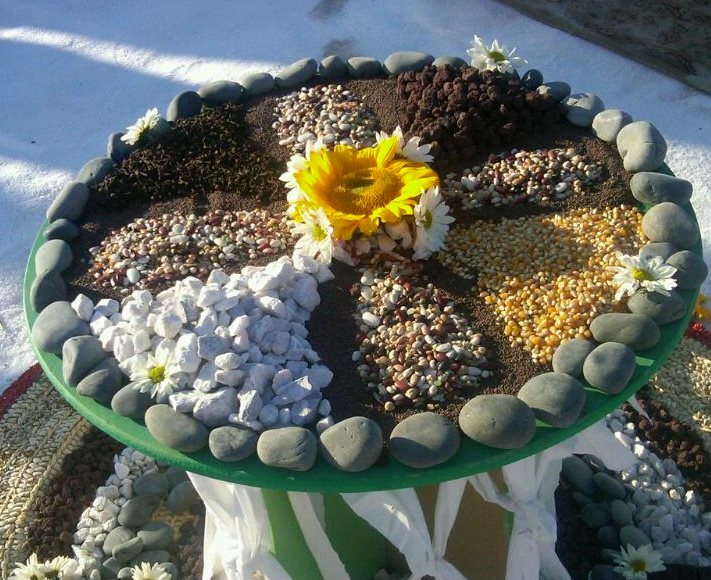 She began preparing the site itself the day before by gathering from the wedding’s mountain setting many natural materials – pine cones, rocks, acorns, and branches. 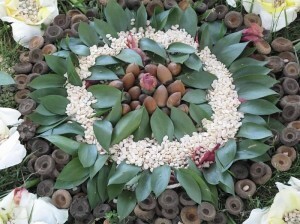 Early the next morning, she went to the ceremony site where she spent hours chanting, playing the flute, and carefully building our mandala, a beautiful composition of rose petals, leaves, stones, seeds, spices, and acorns. 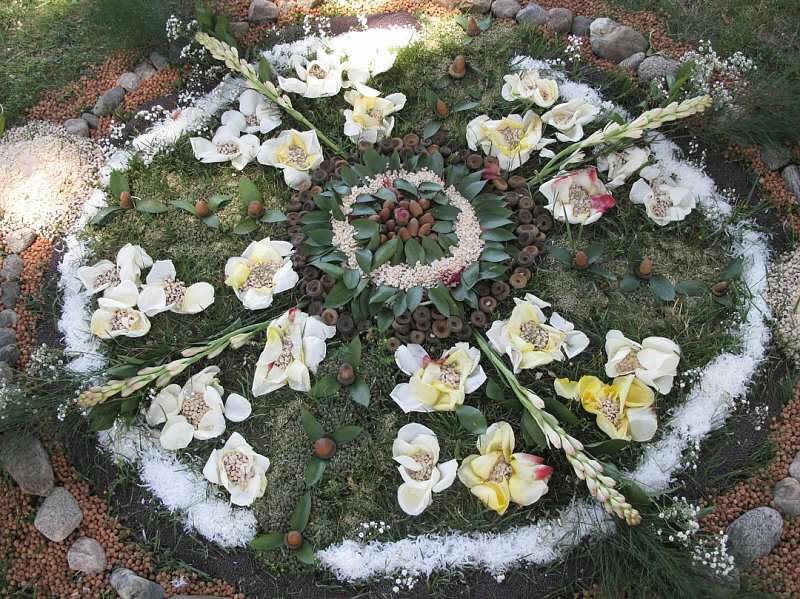 She arranged flowers, pine cones and branches at the bases of nearby trees, gracing the whole area with reverent, natural beauty. When the time arrived, we stepped into a space that she had made sacred through her energy, voice, music, and presence. 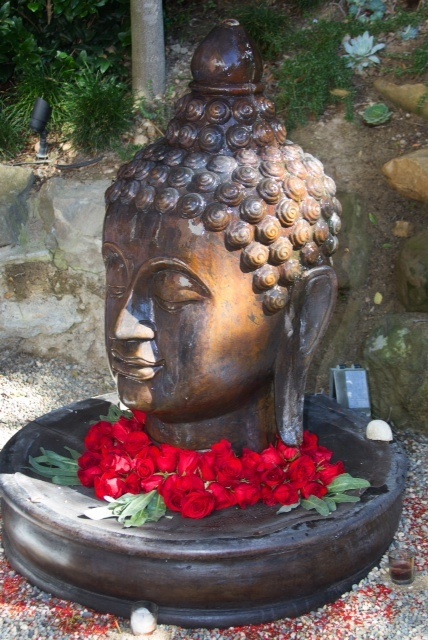 The container she had created allowed the ceremony to unfold in effortless grace. We felt at once grounded and joyful throughout. Through our collaboration with Suzanne and supported by her spiritual attunement, our ceremony emerged as an authentic, meaningful celebration of our union. We carry in our hearts symbols from the ceremony that reflect our highest aspirations and intentions. They remind us to place into living practice, through our actions, the sacred vows we spoke to each other, and our commitments to our highest ideals of love and truth. 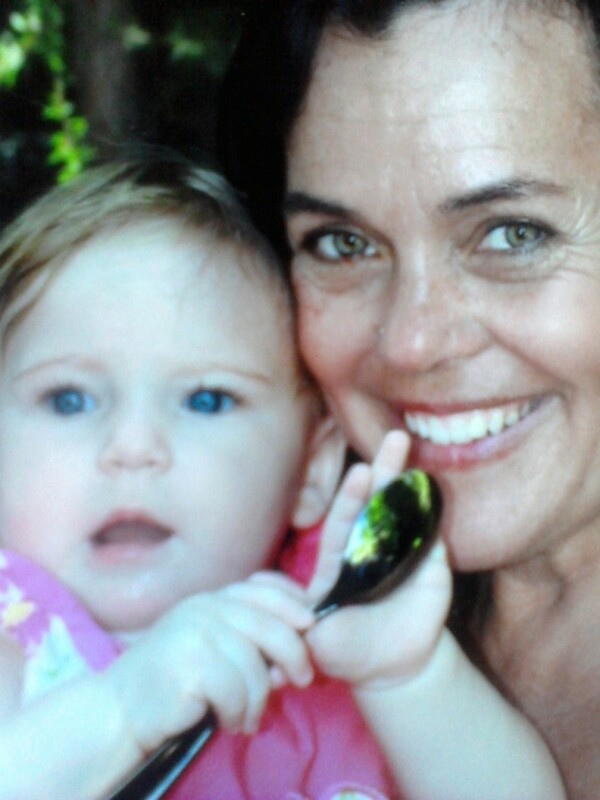 We extend our deepest gratitude to Suzanne for her presence in this defining moment of our lives.